“None of you understand about us,” I thought. 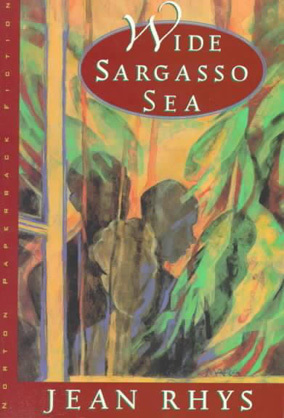 When I first read Wide Sargasso Sea, by Jean Rhys, I approached it as a continuation of Jane Eyre. That is to say, my high school English class introduced it as another entry into the world of that novel, and I went along for the ride. As I have previously mentioned, Jane Eyre is my favorite book, so accepting another book into the saga—essentially placing it on the same level as the Charlotte Brontë novel—was quite a tall order. I could reconcile my conflicting emotions only by considering it an interesting alternate history, a sort of thesis on racial tensions and colonial themes which were present in Jane Eyre, but not of primary importance. I think I was somewhat worried that if I accepted Wide Sargasso Sea unconditionally, I would be acknowledging flaws or shortcomings in Jane Eyre, and emphasizing an aspect of the novel which I thought detracted from its triumph as a proto-feminist text. Thus, I appreciated this book, but at a remove. I enjoyed the writing style, and certain passages, but I also resented it for the way it somehow implicated Jane in the crimes perpetrated against Bertha Mason. When I read it this past time, conversely, I was more interested in how it was representative of Caribbean experience. This eased my mind, and allowed me to become much more absorbed in it. Rhys, who was born in Dominica, expertly portrays the harsh beauty of Caribbean life, especially for poor white Creoles like the Cosways, Bertha Mason’s family. She well understands the contrast between the lushness of the land, and the suffering of its inhabitants. The novel begins with the family hopeless and destitute, marooned at the untamed Coulibri Estate, in Jamaica, with little chance of escape. Since the death of her father, Antoinette (as Bertha is called in this novel), has lived a pathetic existence; she is too poor to be accepted by the white people, but too white (i.e., marked by a slaveholding past) to be accepted by the black people. Thus, she molders away on the crumbling estate, beyond the reach of everyone but her family and a few faithful servants. It looks as though this might be her fate, but everything changes when Antoinette’s mother, Annette, marries the wealthy Mr. Mason. It is not only his name that signifies a shift closer to the details of Jane Eyre—his presence brings the Cosway family one step closer to England. Indeed, this juxtaposition of the English vs. the non-English is quite significant. Before Mr. Mason enters their lives, Antoinette and her family are strictly West Indian. After Mr. Mason and Annette marry, Englishness begins to insinuate itself into their lives in ultimately dangerous ways. Racial tensions mount, and the first significant fire of Antoinette’s life results in the destruction of the only home she has ever known. As for the happiness I gave her, that was worse than nothing. I did not love her. I was thirsty for her, but that is not love. I felt very little tenderness for her, she was a stranger to me, a stranger who did not think or feel as I did. It is hard to read about this Rochester and think of Jane, painful to imagine the true depths of suffering that he and Bertha reached before he found his redemption (and she, of course, never found hers). The novel ends where it must, of course, with England and insanity and fire. But the journey there is moving and profound, agonizing yet of critical importance. It is easy to read Jane Eyre and feel a vague pity for Bertha Mason, to lament that anyone should meet such an end, yet brush her off as something symbolic—or worse, animal. 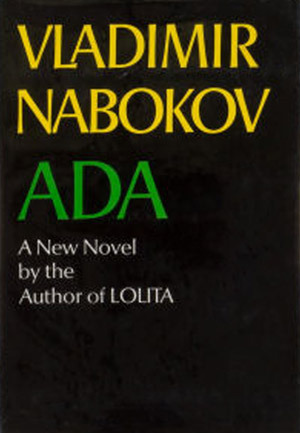 It is impossible with this novel, however, to ignore those questions of lost innocence and inhuman treatment, of an imposed insanity that may have been prevented. In Wide Sargasso Sea, Bertha Mason and Edward Rochester are both compelling victims, the casualties of two dissimilar worlds attempting to merge without understanding on either side. While this may not be Jane Eyre, it is a worthy successor; it understands the suffering behind the scenes, and restores a voice to a shadow. Depending on how you look at it, I am either the worst or the best possible reviewer for a film adaption of Jane Eyre. Consider the facts: It’s my favorite book of all time. I’ve read it over and over again, sometimes in an academic context. I’m irrationally defensive of it, and in fact take it way too personally whenever someone suggests that Jane is a) an unreliable narrator b) a sad sack and/or c) weird. (She’s just misunderstood!) Regardless of whether my opinions actually matter, you can bet that I do have strong opinions about this movie, and that I just might get into a first fight with director Cary Fukunaga over them. You see, while I found Jane Eyre to be a perfectly serviceable adaptation of the greatest book of all time, I just didn’t think it was at any point distinctive or inventive enough to justify its existence. It was very “by the book,” in word, though not in spirit…so much so that I suggest you just buy the book. The plot picks up once we get into the flashbacks, which, of course, actually come first in the novel. We see Jane as a young girl being tormented by her brutish cousin, John Reed. He hits her, and she hits back; this is one of the few times in the film when we actually get a glimpse of the “passion” Jane is so often accused of having in excess. After being deemed unmanageable, she is carted off to Lowood School, where we see, in fast forward, the development of her friendship with Helen Burns. Once Helen dies, we watch the remainder of Jane’s time at Lowood (during which she became a teacher) play out in roughly a minute and a half. With little ceremony, Jane leaves to begin her “real” life. It is clear that the main event is Jane’s experience at Thornfield Hall, and thus this, essentially, glorified exposition serves only as an obligatory preamble. We do not need to know too much about Jane’s childhood and development—just enough to show us that she, like Rochester, is a sensitive soul searching for a human connection. Yet, once at Thornfield, Jane’s life appears little improved. Any excitement one might find in the book is here crushed by Jane’s overly-severe countenance. 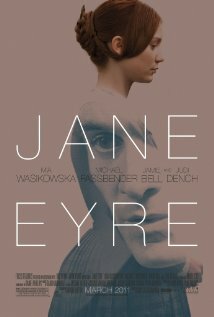 Indeed, this is one of the major problems I had with the film: Jane Eyre looks miserable all the time. She never shows any pleasure in her new surroundings, or even in bantering with Mr. Rochester. Part of the problem may be that the film dispenses with the narrative voice that makes the character of Jane so distinctive. We are left only to guess at Jane’s inner passion, which is a challenge given Mia Wasikowska’s dour, or at best blank, expression. Still, I think that the major problem lies in Jane’s being reduced to a 19th century Bella Swan. Although Jane offers some perfunctory explanations of her personal philosophy, the strength of her character is largely overshadowed by the need for major plot developments. The movie presents a reading of the story that is so different from my own: it completely misses out on Jane’s humor and strong sense of self, and instead focuses on the melodrama and “romance.” As a result, she might as well be choosing between a vampire and a werewolf! Still, there’s something weirdly muted and slow-paced about the whole affair, which almost makes one wish for some supernatural excess. Even the already vampiric Bertha Mason, Rochester’s wife, is less sensationalized in the movie than she is in the novel. All of Charlotte Bronte’s charmingly weird flourishes have been expunged, or glossed over to present an unnecessarily staid production. Thus, the plot of Jane Eyre is just as you remember it in the book…but without any of the details that proved to your high school English teacher that you had actually read it. At times, this means the complete omission of several minor-but-still-important characters—namely, the only people who were ever nice to Jane during her childhood. (Seriously, how are we supposed to believe she turned out reasonably well-adjusted with so little exposure to actual human decency?) At other times, this means skipping over scenes that are too bizarre and/or playful for the tone of the movie, such as when Mr. Rochester arrives at Thornfield disguised as a gypsy. It’s understandable that certain details would not be included in the movie due to time constraints, but this does not always explain why other scenes (such as the overlong opening scene of Jane literally at a crossroads, and then returning to the womb of nature) were included. All in all, I questioned the choices made by the director, the screenwriter, and even the casting agent. There was nothing wrong with the movie, and it was quite lovely to look at, but it just did not offer the reading I was hoping to see. Additionally, the cast fell short of my expectations. For one, Judi Dench was completely wasted as Mr. Fairfax. (Come on, it’s Judi Dench!) Furthermore, neither Mia Wasikowska nor Michael Fassbender brought anything new or interesting to their roles. Fassbender is far too good-looking, and not nearly commanding enough in appearance, to make sense for Rochester’s character. Wasikowska, usually very pretty, is somehow too plain even for Jane, perhaps because she appears to be forever scowling. I did not dislike either of them, but I was also not convinced by their interpretations. Still, all this really means is that the film could not live up to the version in my head. And, for that, I cannot fault it too much (or, at least, any more than I already have). It was entertaining enough, and certainly visually-appealing enough, to provide a pleasant evening out. It’s sure to please some fans and disappoint others, but either way, it’s not so bad. It still beats finding out that your fiancé is stashing his homicidal first wife in a room just above where you sleep….